Goats Galore and Summer Fun! - Project: THRIVE! We are well into the summer months and boy do we have a lot of fun stuff to share with you! Take a few minutes from playing outdoors and have a read and hopefully you can join us for some of the upcoming events. Here we go! Can we get a big applause and warm welcome for Levon and Bertie? 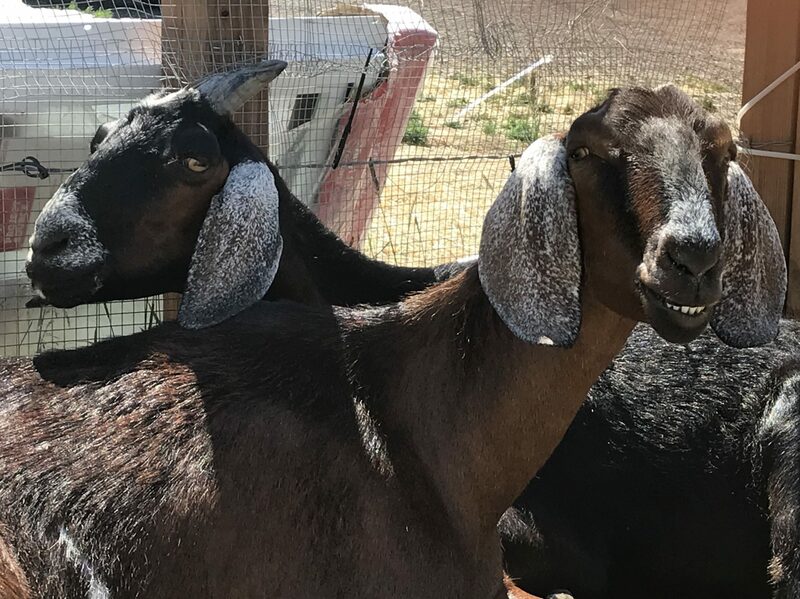 Our newest additions to the Project: Thrive family, these two goats were spending their days simply as “lawnmowers” and were not being well taken care of. Thankfully, we were able to get them to safety. They are as sweet as pie! They are both leaners and seem grateful to finally feel safe. Thanks to Jenn for making the trip to bring them home and thanks to their guardian angel, Sandra, for making sure they got to greener pastures. Our sweet volunteer, Emily, named them Levon and Bertie, which we think they both approve of. Welcome home boys, you will be loved and cherished here for the rest of your days! DRUM ROLL PLEASE! We are so honored and pleased to announce that Project: Thrive is the recipient of The Salah Foundation Grant (http://www.salahfoundation.org/ ). The honor was gifted to us to build an Enrichment Center for the animals. The enrichment center will give the animals a place to stimulate their minds, exercise their bodies and just enjoy their lives. It will be a place to PLAY! We believe that the humans who come to visit will enjoy watching and interacting with the animals in the center too! We could not be more humbled or grateful for this beautiful gift. Project:Thrive will receive the initial $5,000 to begin the project and then we will have to raise another $5,000 to unlock the second gift of an additional $5,000. We will announce fundraisers and volunteer work days to help make the most of the Enrichment Center funds. We will keep you updated as this exciting project gets underway! Enjoy reading? Love animals? We are starting a new program that will be held Saturday or Sunday afternoons throughout the summer and into the fall. 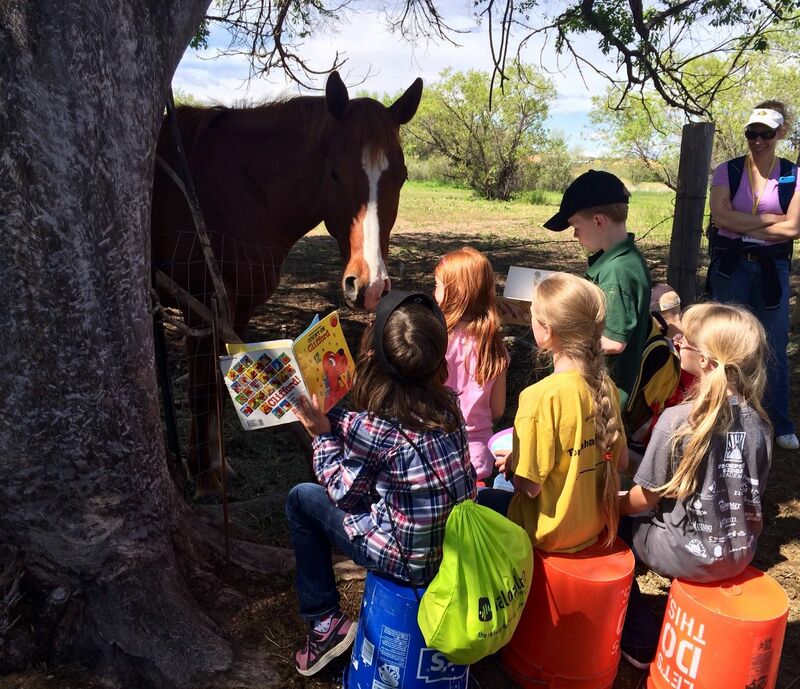 We will invite kids of all ages out to be with and read to the animals. This time together will stimulate the development of enriching relationships, reading skills, and kindness in a joyful environment. We have seen the animal’s reactions to this sort of event, and trust us, they love it! Who doesn’t like getting read to on a lazy summer or fall day? We will post and advertise dates and times as we have them so please stay tuned! 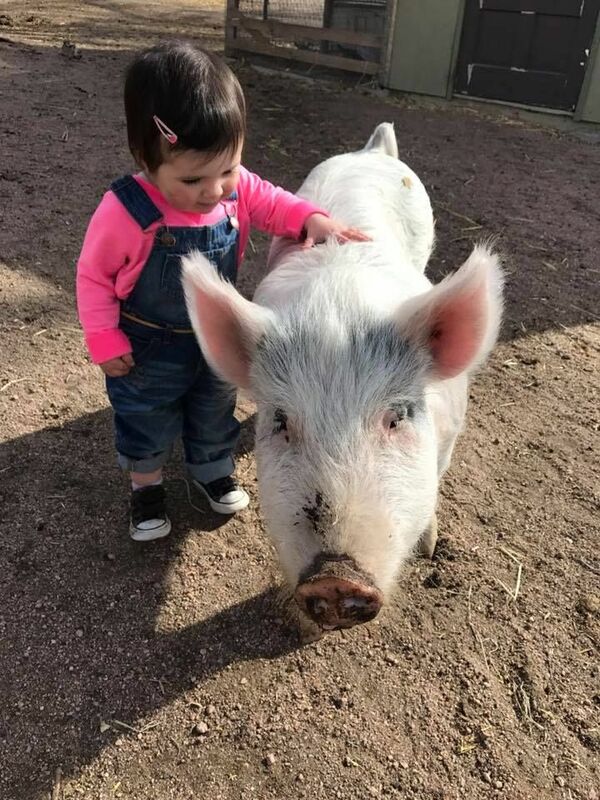 Our first date for Family Day and Reading To The Animals will be Sunday, August 5th from 11-1. We hope to see you there! For specific directions or for further information please reach out to us at project.thrive.global@gmail.com. Alright ladies, time for a little rest and relaxation to the sounds of mooing and other wonderful barnyard “singing”. Project: Thrive will be holding a Women’s Retreat Saturday, July 21 from 10 am to 2 pm here at the property. We would love to have you join us for this half-day women’s retreat of reflection, relaxation, and renewal with the sweet animals. The retreat will encompass restorative body movement, mindfulness, and creating a deepening compassion and understanding of the human/animal connection as well as a sense of stillness and deep listening. Please join us for a few hours to treat yourself, body, and spirit. Be sure to wear something comfortable, bring a sack lunch and water. Please RSVP at project.thrive.global@gmail.com to let us know to expect you and to get specific directions. That is all for now! Hopefully one of these events will peak your interest and we will get to see you at the barn! The animals (and the humans) sure would like to meet you. As always, thank you for your continued support and encouragement. We are so grateful for each and everyone of YOU.